Not only do you have the opportunity to win a prize from Moms Bookshelf & More, but you can hop along the list to enter 36 other giveaways including the Grand Prize via Cheap Is The New Classy, worth over $700! The Grand Prize via Cheap Is The New Classy and sponsored by Tresanti Furniture is a Tresanti Saffron Granite Top Kitchen Island of their choice. 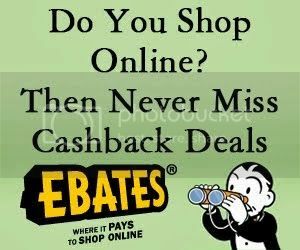 Be sure to drop by and enter for your chance to win big! Moms Bookshelf & More is offering a large Book Prize Pack worth over $70! Here’s What You Will Win…. Both Cruise Quarters and Nate Rocks The Boat are signed by their Authors! Enter Below using the Giveaway Tools Form and be sure to come back each day for additional entries! I’m most excited about “Cruise Quarters – A Novel About Casinos and Cruise Ships”. I would keep it for myself. I am most excited for Apparition & Late Fictions by Thomas Lynch. I will keep these for myself. NAte Rocks the boat for my kids. I’m most excited about Secrets of my Hollywood Life and I’ll be keeping it! I think I’m most excited about Secrets of My Hollywood Life. I’d keep them til I read them then pass them along to another reader or donate them to the library bookstore. Nate Rocks The Boat by Karen Pokras Toz for my son. I’m excited for Nate Rocks the Boat. I will be gifting it. I’m excited for Nate Rocks the Boat and I would keep the books. I am most excited about Nate Rocks the boat and I have to admit I will be keeping it. I’m excited about the signed I think it would be cool to display them. I might gift the books after reading them! I love to read. Thanks! i am excited about Apparition & Late Fictions. i would keep it. 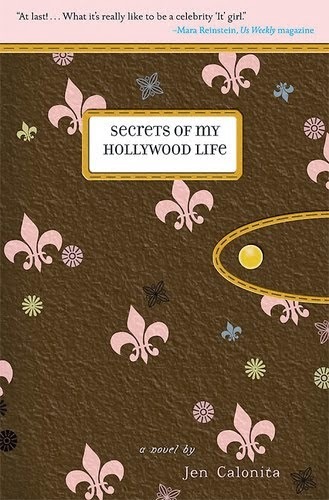 I would like to read Secrets of My Hollywood Life by Jen Calonita and I would keep it for myself. Thanks. Secrets of my Hollywood Life – although they all look interesting and I know I can share them with my daughter. Apparition & Late Fictions sounds good. I’ll be keeping and gifting. Nate Rocks the Boat, and it will be for my boys. They love this series! Nate Rocks the Boat sounds good for my kids to read. I would like to read Secrets of my Hollywood life! I think I would keep them for myself, I am a bookworm! Secrets of my hollywood life sounds interesting! I think I will keep them! I think I’m most excited for Apparition & Late Fictions, sounds super interesting! Apparition & Late Fictions sounds intriguing. As I looked it up on Amazon, it seems like it is a book that I can probably most relate to. Secrets of My Hollywood Life sounds interesting, I’d keep it. 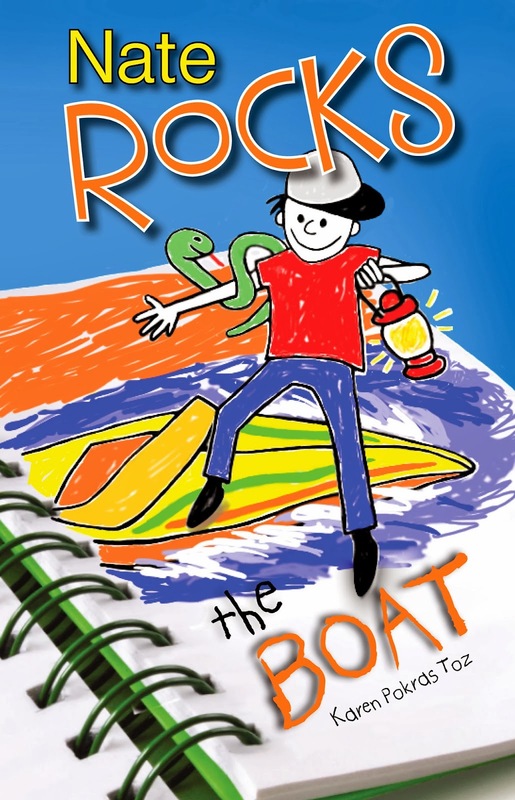 I am excited about Nate Rocks the Boat will be gifting to my son. Secrets of My Hollywood Life, Apparition & Late Fictions and Cruise Quarters but they all sound great! and Nate Rocks The Boat by Karen Pokras Toz (SIGNED) I’ll be gifting 2 of the books! I am excited at the chance to win any of them. I love to read period. I am happiest when I can read about anything. I would definitely keep them for myself. I am most looking forward to Apparition and Late Fictions. The others would more than likely be gifted to some of my reading buddies. We all love to read and share our reads. I’m most excited for the “Nate Rocks the Boat” book because I’m sure my kids would like it. I’d keep it for them. I’d like to read Secrets of my Hollywood life first…I would likely share the books with the others in my family who love to read! Nate rock the Boat, my nephew would love it! I think we would like to read Nate Rocks the Boat by Karen Pokras Toz , I think myself and my granddaughtes would love to read this book. I would share these books with my daughters in law who also love to read then they can give to their church group of school groups for others to read and enjoy. Apparitions & Late Fictions is a novella that appears to be about ghosts and the dead. I love to read and any of these books looks good and I’d keep them for myself. I would really love to read Cruise Quarters. I think it would be very interesting. Thanks for the great giveaway opportunity. Keep up the terrific blogging. It was a toss up between Secrets of My Hollywood Life by Jen Calonita and Apparition & Late Fictions by Thomas Lynch though signed books are always amazing as well so it makes it a tough choice to pick just one! They all sound most excellent and as a book lover I don’t think I could be more excited about one more than another. After all, books are just great because they are books! Oh, and to add to my comment, I would likely have to keep them because it’s hard to pass a book on but the younger book/books I may pass on to my young nephews because I think they would very much enjoy them. apparitions & late fictions and I would keep it for a while then maybe give to a loved one to read only. I would give the Nate Rocks the Boat to my daughter and perhaps keep the other books for myself. I’m excited to read Apparitions and Late Fiction. I would probably give some away and keep at least one for myself. I’d like to read Apparition & Late Fictions, I’ll probably read the books myself and then pass them on. I’m most excited about Apparition & Late Fictions and I will be keeping a couple and giving away the others. Apparition & Late Fictions looks interesting. I would keep it and give the others as gifts. I’m excited about Cruise Quarters and would be gifting this for my friends 2 small boys. I’m most excited about Secrets of My Hollywood Life. I’ll be keeping these for myself and then passing them on. Secrets of My Hollywood Life…I will probably give them as gifts! I don’t have a favourite at the moment, they all seem good. and Nate Rocks The Boat. I will be gifting them but Secrets of My Hollywood Life by Jen Calonita sounds interesting. Apparition & Late Fictions by Thomas Lynch. I would be keeping the 3 adult books for myself and maybe sharing them when I am done with them, and I would be gifting Nate Rocks the Boat. I’m most excited about Nate Rocks the Boat. I would probably keep the books and read them, then give them to someone else to read.